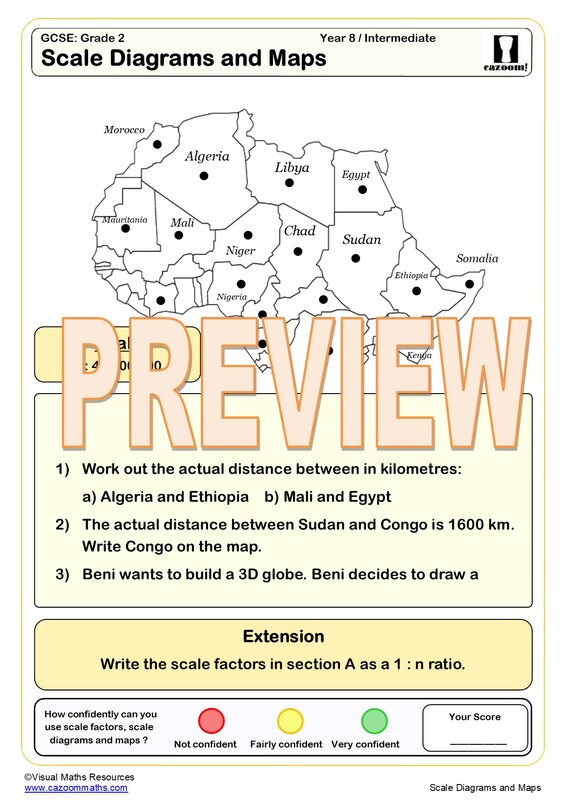 Help students find their way through bearings, scale and loci maths using our easy to follow, clearly presented worksheets. Our worksheets cover calculating bearings, scale drawing, loci maths and more. 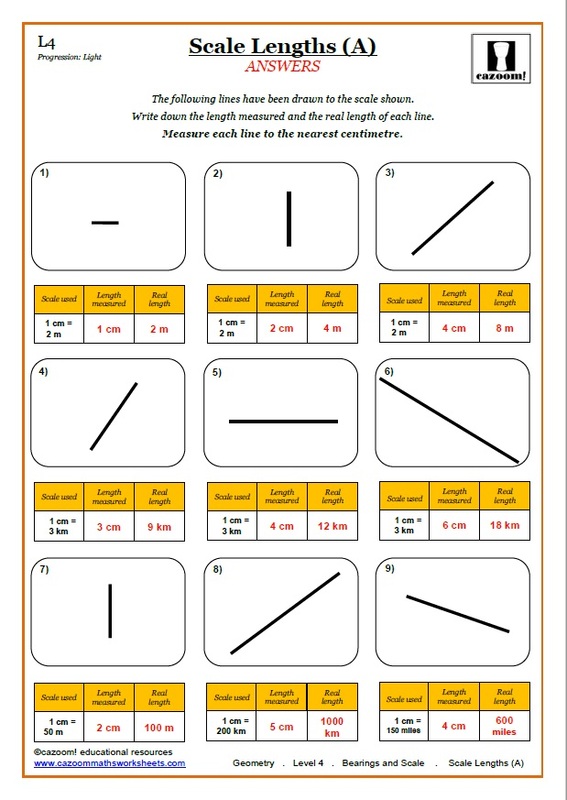 Calculating scale lengths is made simple and understandable with our scale drawing worksheets suitable for all abilities. 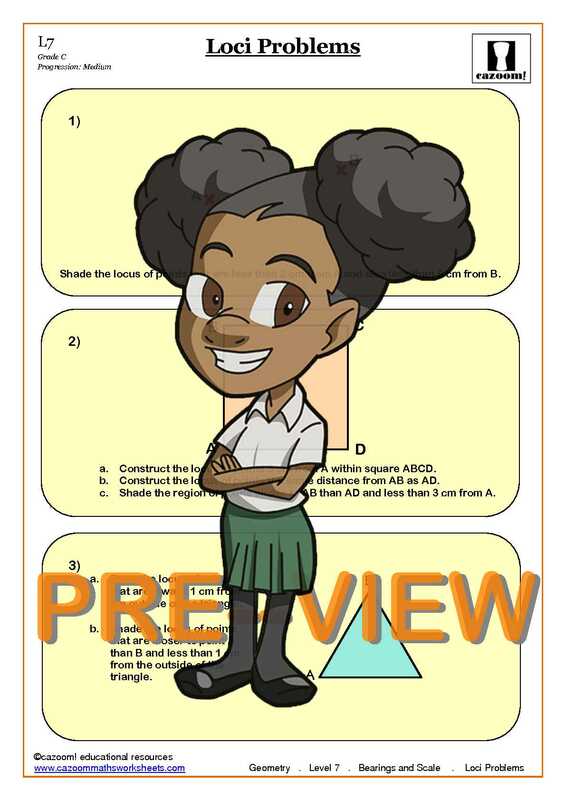 All of our loci worksheets are supplied with answers so you can check how well your pupil or child is doing, and point them in the right direction for revision. 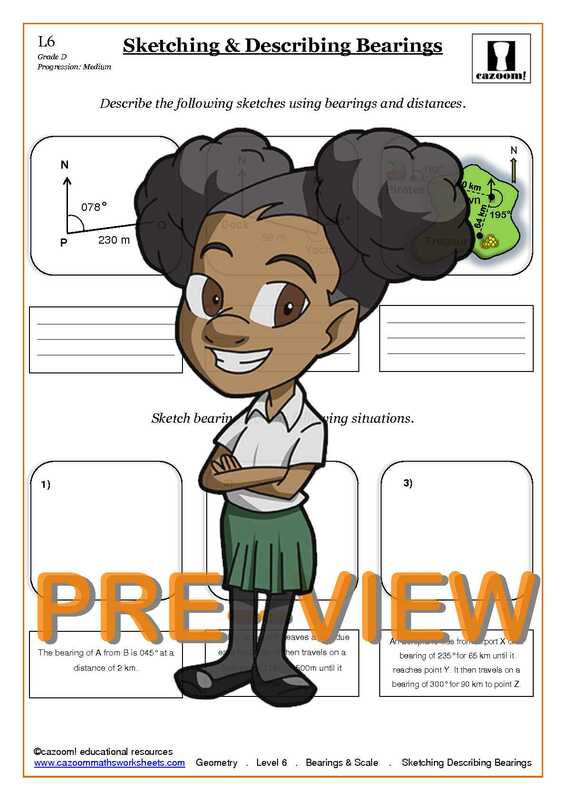 Our resources on scale drawing, calculating bearings and loci maths will help steer students to success! At Cazoom Maths we provide engaging scale drawing, bearings maths and loci maths worksheets to help students calculate bearings and scale length with ease. 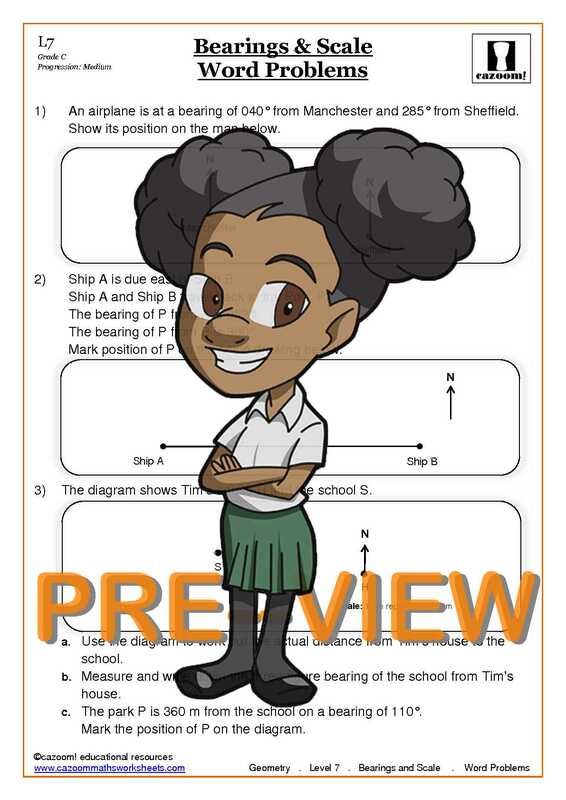 Our worksheets present this essential information in an easily digestible format and give plenty of activities for students to practice calculating bearings. Help your child or pupil get their bearings by using Cazoom Maths! Bearings help us find our way in the world. 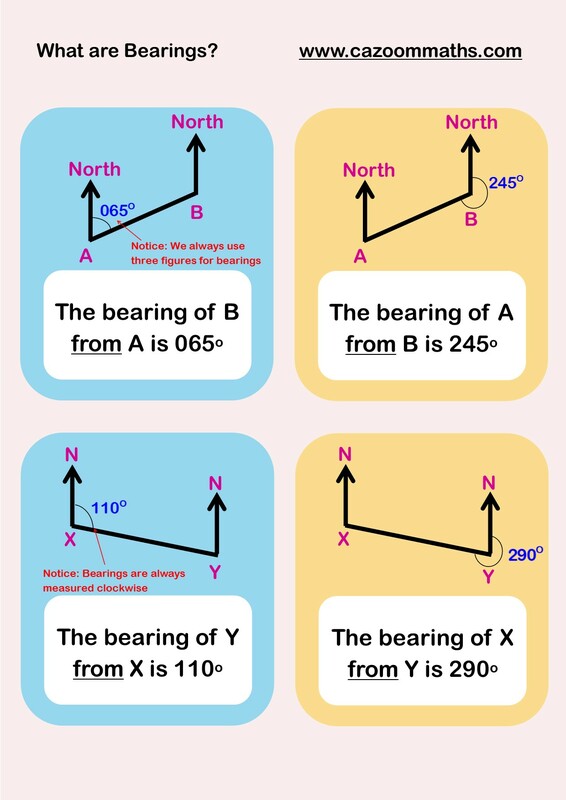 In the age of Google maps and GPS devices it might seem like we no longer need to use a compass and calculate bearings, but many people use their knowledge of bearings in their everyday lives. 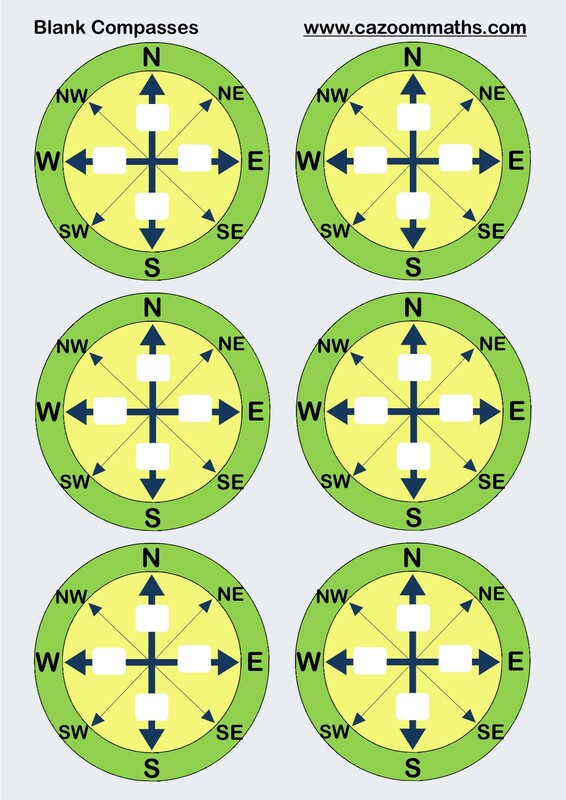 Sailors and pilots use GPS devices for support, but they do not rely on them entirely because they understand how to plot a course using bearings. Electronic devices can fail at any point, so it is important to know how to navigate without them. Knowing how to use a compass and bearings is not just a maths skill but a life skill, so use bearings, scale and loci worksheets to help children master it. Studying bearings not only helps students navigate, but also consolidates students’ knowledge of angles. 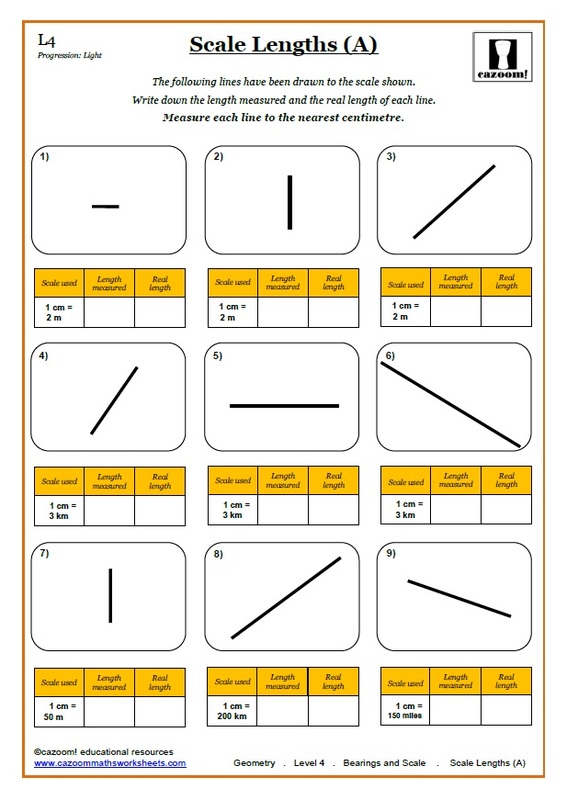 This is another key area of maths which students will need to use in their exams and in later life. 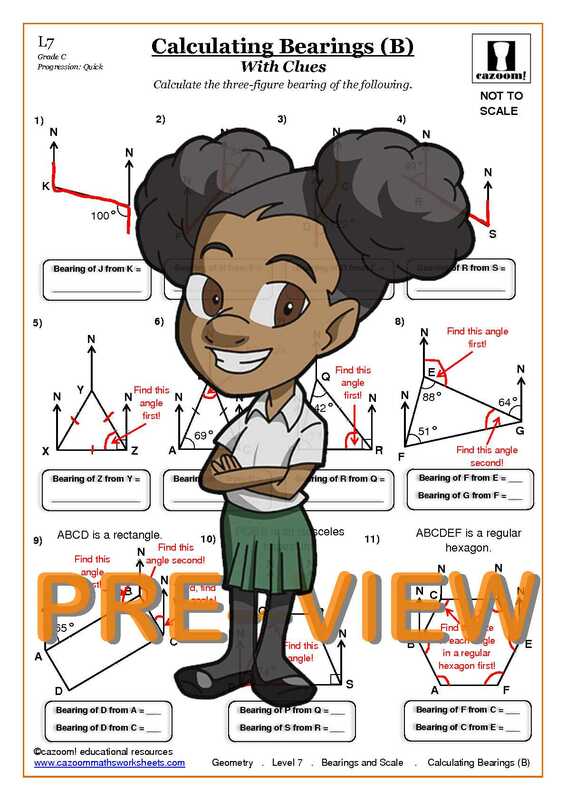 Using maths worksheets as a supplement to other teaching resources either in the classroom or at home will help children become confident on all of these areas, and prepare them for any type of bearings question they come across, as well as enabling them to navigate with ease.